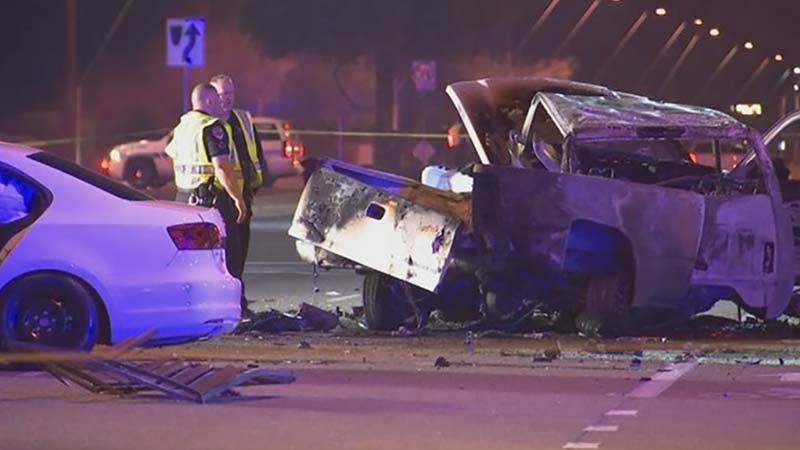 Chandler, Arizona—An as-yet unidentified man died at the scene of an intersection crash early Friday morning. The man is believed to have been in his 30s. The deadly accident occurred at the intersection of Dobson and Warner Roads. The driver who survived the crash has been described by Chandler Police accident investigators as a juvenile. He was released from a hospital. Police report that criminal charges are pending against him. Chandler police investigators urge that witnesses to the tragic crash contact them at (480) 782-4130. We extend our condolences to the family and friends of the young man who died.